NIO (NYSE:NIO) -20% on Q4 earnings. SELLAS Life Sciences Group (NASDAQ:SLS) -12%. Qutoutiao (NASDAQ:QTT) -11% on Q4 earnings. 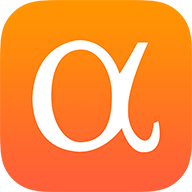 Cardlytics (NASDAQ:CDLX) -10% on Q4 earnings. Chico's FAS (NYSE:CHS) -8% on Q4 earnings. Document Security Systems (NYSEMKT:DSS) -8% on signing a distributor agreement with Advanced Cyber Security. General Electric (NYSE:GE) -7% after announcing negative cash flow expectations in 2019. Thor Industries (NYSE:THO) -6% on Q2 earnings. United Natural Foods (NYSE:UNFI) -6% on Q2 earnings. Alnylam Pharmaceuticals (NASDAQ:ALNY) -5% after announcing top line results from ENVISION phase 3 study of Givosiran. China Internet Nationwide Financial Services (NASDAQ:CIFS) -5%. Willis Towers Watson Public (NASDAQ:WLTW) -5% after merger with Aon called off.